Ilye Figler is always around the NYC chess scene. He prefers to play in slower events on the weekends however has been trying to work on his game in the NY Masters. 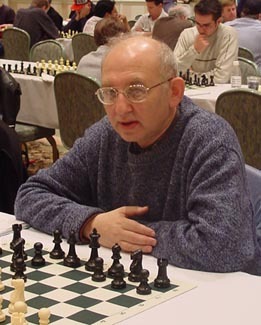 One of his biggest achievements was winning the NY Open U2400 FIDE section many years ago. He is quite a solid and experienced player and usually plays 1.d4 and Richter Rauzer variations of the Sicilian.